CES 2017 and its often-fractious relationship with the high end might very well be encapsulated by the Bob Dylan lyric, “It's not dark yet, but it’s gettin' there.” The decline in exhibitors at the Venetian (as many as thirty to forty by some estimates) was striking. 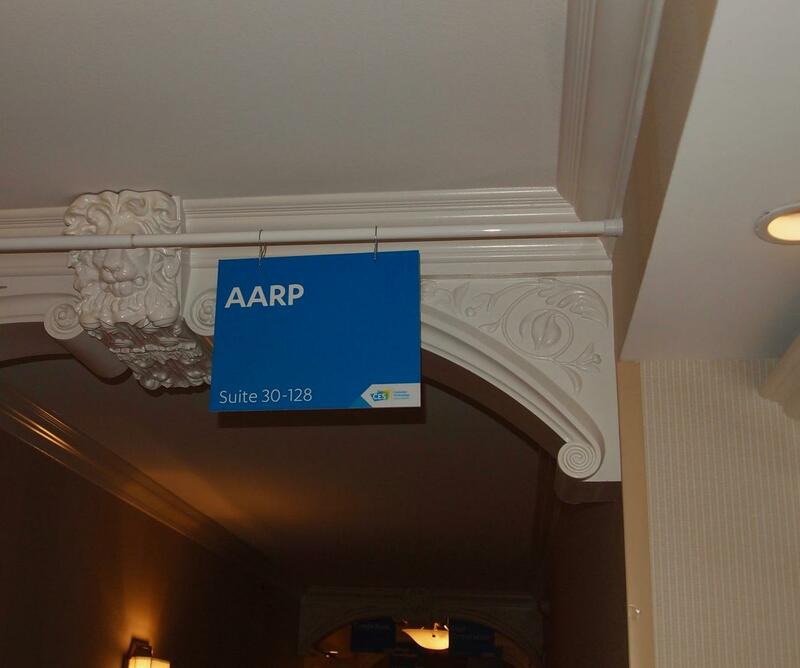 Not to mention the unexplained appearance of vendors like the AARP and Simmons Bedding on the thirtieth floor–well, the less said the better. What it augurs for the future, however, depended on whom I spoke with as the show wound down. For many it’s time to get out of Dodge but for those companies seeking distribution and new partnerships, many will still look at CES as a fruitful opportunity. And so will brands seeking press coverage, that is, if the audio press can be convinced to attend. Many exhibitors expressed the feeling that room traffic had actually increased, likely due to the ease with which attendees could visit the fewer exhibits on hand. Still, the writing is on the wall. The big pivot is in full swing with momentum having shifted to Munich and the better North American regional shows including Axpona Chicago, Rocky Mountain, perhaps Montreal, and this year’s highly anticipated L.A. Audio Show in June. Shifting tides notwithstanding, in my category of loudspeakers under $20k, sprinkled with a smattering of personal audio, there were some rich offerings. Andrew Jones and team have broken out of blue-plate territory in a big way with the Adante line­. Elac devised a new, large-voice-coil concentric midrange/tweeter with waveguide, plus an internally housed 6** woofer behind a front firing 8** passive radiator—a configuration known as bandpass or interport-coupled-cavity bass. Diaphragms have graduated from the aluminum of the Debut/UniFi series to titanium. A hefty aluminum front baffle rigidly anchors the assembly. 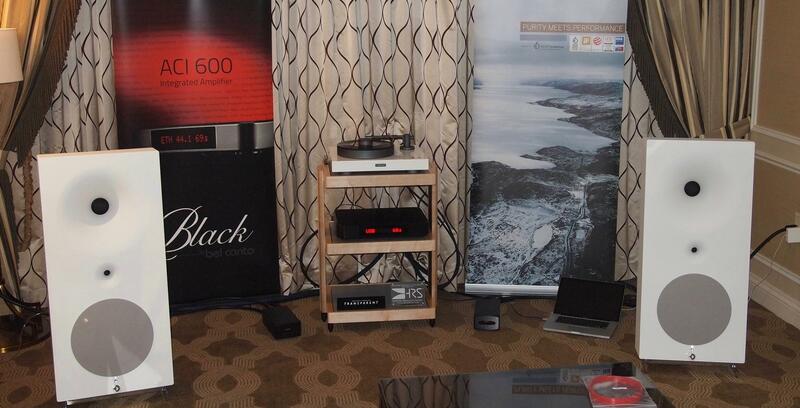 Due at the end of the 2nd quarter, the lineup comprises three speakers: a stand-mounted compact at $2500/pr. ; a floorstander at $5000/pr. 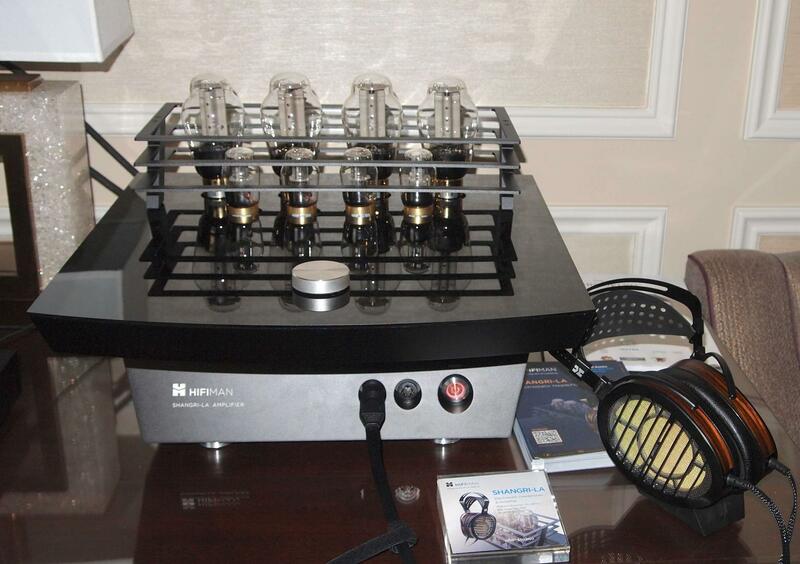 ; and a center channel at $2000 each. (Prices still estimated.) Driven by an array of Audio Alchemy gear, sonics had the redoubtable Jones’ signature of posh articulate mids, muscular bass punch, and the image focus lock-down that comes from a well-executed concentric. With Adante, Jones and Elac have completed the hat trick that began with Debut and Unifi only a couple of years ago. A crowd pleaser from the moment it debuted, the lauded LS50 compact with KEF’s Uni-Q concentric driver has taken it up a notch by adding a wireless active DSP version to the family. It’s a fully active, DSP-crossover system bi-amped by 230Wpc, dual-mono amplifiers. The digital stage has dual 24/192 DACs per channel, It also includes dual-band WiFi, Bluetooth aptX, digital and analog inputs, and, of course, asynchronous USB. Plus customizable EQ settings and a dedicated app. Colors are available this time, with drivers matched to cabinet finishes for a look that should make them welcome in most listening rooms, particularly since only a smart phone is required to complete this soup-to-nuts system. 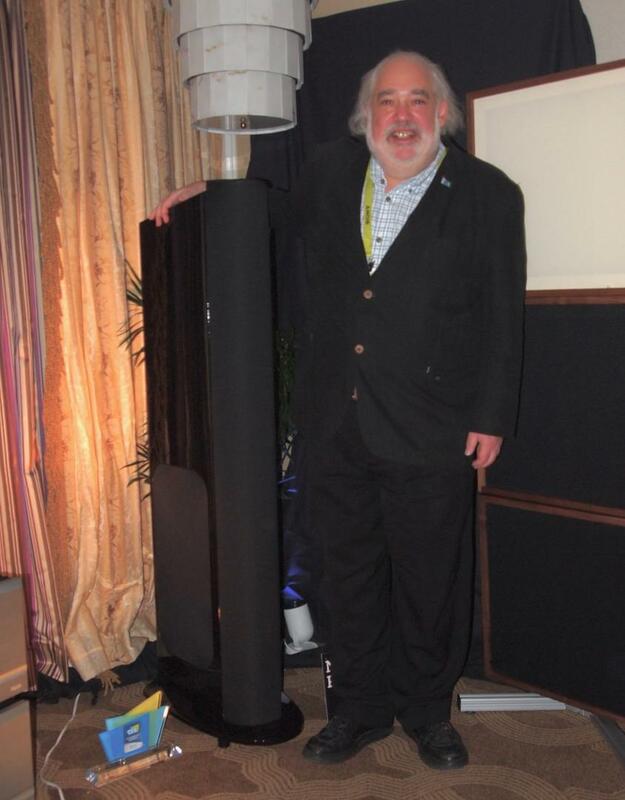 Sonically, it was everything I enjoyed in the original—heft, reasonable scale and precision, plus the added bass extension and control that are part and parcel of the active loudspeaker experience—a segment and solution that have achieved more high-end popularity than ever before with the advent of computer media and network music. What loudspeaker line would be complete without a reference model? GoldenEar unwrapped its effort at CES, and to say it merely succeeded does not do the Triton Reference justice. Looming at a height of nearly five feet and equipped with 1800W of digital DSP amplification, the hybrid design features new components throughout including two 6" upper/bass/midrange drivers and three 6**x10" active low-frequency drivers (plus four passive planar radiators) for the built-in powered subwoofers. Also new is a “Focused Field” magnet structure, which better directs the magnet flux to the voicecoil gap. The High-Velocity Folded-Ribbon tweeter has also been reworked and incorporates 50% more rare-earth neodymium magnet material. Driven by Pass Labs monoblocks and a PS Audio Memory Player, the Ref’s scaling of images and ambience retrieval make it reminiscent of many planar or electrostatic designs. Dynamics from pipe organ or Kodo drummers were deep and explosive, but it was the overall delicacy and detail of low-level voices that won the day for me. Shipping in the spring. Last year the prototype, this year the real thing. Think of it as the scaled-down version of the CE-1 and able to fit in most smaller spaces. Per TAD practice, the ME-1 uses the latest Coherent Source Transducer with a 1-inch beryllium tweeter and a 3.5" magnesium midrange. Bass duties are handled by a custom 6.3" Aramid-composite woofer. The inert cabinet is constructed of rigid birch and MDF. TAD retains its clever bi-directional slot port and the side panels are made of 4mm steel for further cabinet rigidity. Musically and tonally the fingerprints of Elac’s Andrew Jones (formerly of TAD) are all over this one. Driven by all-TAD electronics, BAT phonostage, and Spiral Groove Revolution turntable with Koetsu Onyx Platinum cartridge Nordost Tyr cabling, and Isotek power, the little TAD provided tightly controlled fifty-cycle bass extension, excellent imaging, and the specificity you would expect from a well-designed coincident driver. It clearly has enough low-end oomph to suggest accurate scale and ambience. And very little in the way of cabinet resonances. Dynaudio ‘s venerable Contour Series has received a much-anticipated reboot, which should make this popular speaker series even more competitive in the under-$10k range. 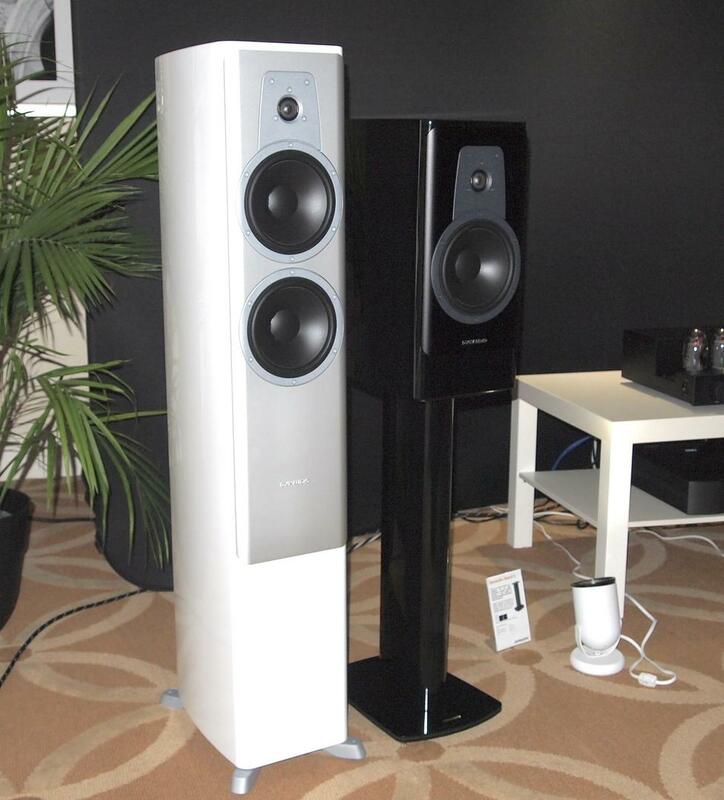 Three models include the compact Contour 20 ($5000, $500/stands), Contour 30 floorstander ($7500), and Contour 60 floorstander ($10,000). All three are smoother, more modern, fully re-engineered designs. There are new drive units plus new MSP diaphragms and aluminum voice-coils/crossovers. A heavily braced, curved multilayer enclosure combined with a solid aluminum front baffle should reduce mechanical resonances. 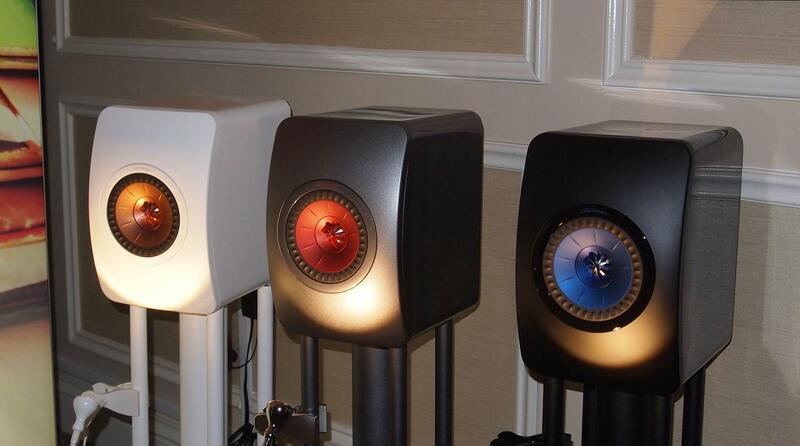 And Dynaudio ices the cake by selecting its finest tweeter, the renowned Esotar2. I got lucky listening to a selection of Daft Punk and classical favorites and noticed the smooth top end and the quick reflexes of the full-bodied mids. While the Contour 20 had a lighter overall balance, this new compact was still high energy and packed a stiff midbass punch. The Totem Acoustic Sky is a small two-way compact with not just a big gusty sound, but a really musically inviting one as well. The driver complement includes a custom-made Morel midbass with a hefty three-inch voice coil and a rare, oversized 33mm soft-dome tweeter from Germany that’s good to 30kHz. Imaging was precise, bass was tight and rhythmic, and vocals revealed a nice dollop of air on top. Available in black ash, mahogany, and white. Tabletop and wall-friendly, too. Building on the success of the ambitious SB-R1, Technics demoed its SB-G90, a three-way, four-driver design in a bass-reflex configuration. It features a newly developed coaxial cone unit (including 6.5" midrange and 1" tweeter) and dual 6.5" aluminum woofers. In addition to the rigid 44" tall cabinet, it uses Balanced Driver Mounting Architecture, whereby the transducer is mounted to a sub-baffle installed inside the cabinet at the speaker unit’s centre of gravity, which suppresses the vibration of the speaker unit itself. Performance was impressive with good overall balance, near full-range extension and control, and slightly darker timbres. Summer 2017 availability. 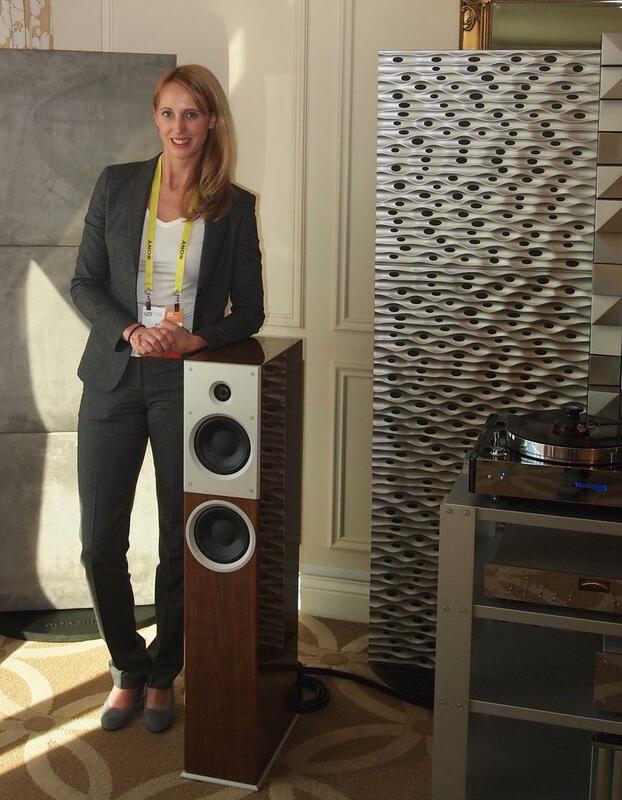 A space-saver Burmester priced for a wider audience? Indeed, the B18 is a 2.5-way floorstander with a small footprint and arrives in a choice of five finishes. It uses a custom-made ring-radiator tweeter and a fully redesigned, computerized spring-mass damping system for resistance to floor vibration; there’s also a torsion-resistant aluminum-MDF sandwich front baffle to reduce cabinet resonances and improve bass punch and precision. Sonically, the B18 had a light quick touch on female vocals with deceptively full-bodied output on piano. There’s substantial heft but mixed with the tight coherence of a compact. The bass was a little softer in this setting, but I’m confident in a room more suitable to its scale, it will be able to strut its stuff. Shipping in May. Avantgarde’s new Zero TA is the perfect answer for aficionados who appreciated AG’s original and fully-active/DSP driven Zero but, nonetheless, retain a preference for their existing analog sources. The Zero TA (Teil Aktiv or semi-active) is for them. The semi-active spherical horn system has a 1" tweeter, 5" midrange, and powered (500W) DSP-controlled 12" woofer with 10-band parametric EQ. The sound was articulate, vibrant, and dynamic as expected but also possessed a low-level delicacy that stopped me in my tracks. 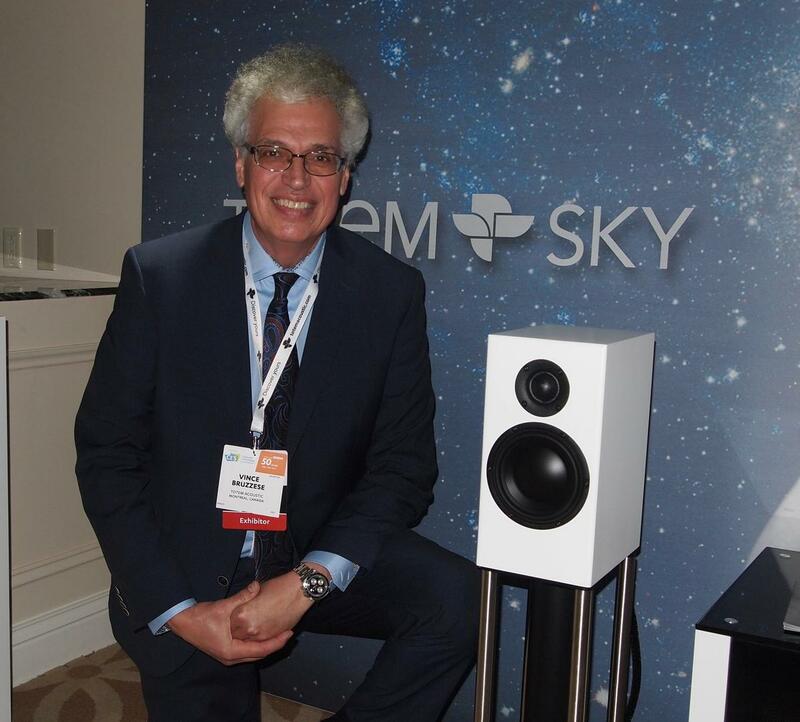 Franco Serblin demoed the minimalist Lignea, a unique and graceful two-way with a three legged aluminum stand joined to a narrow, gently arched, wood pillar that houses a vented enclosure with four-inch midbass driver and 27mm tweeter. Vandersteen has updated and rechristened the Quattro Wood as the Wood CT ($12,900), adding the carbon tweeter that first bedecked the Model 5A Carbon. This five-driver four-way with powered bass also incorporates a 250W Class B amp with 11-band EQ for its dual 8** long-throw subwoofers. 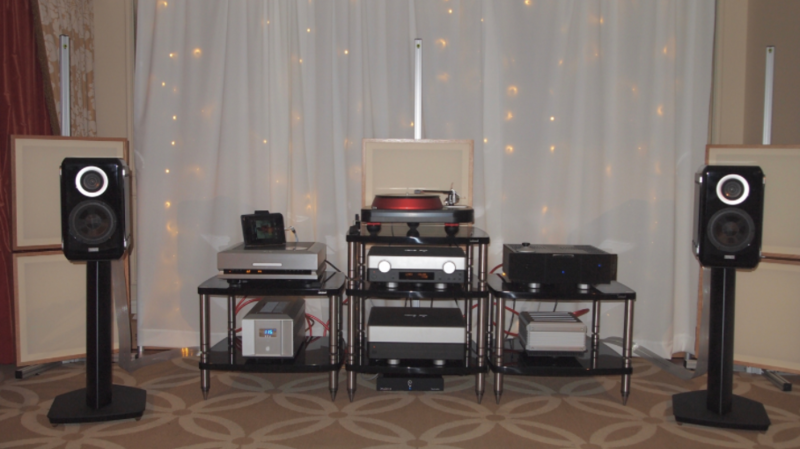 The system source and electronics was an all-Brinkmann family affair with the Bardo turntable and 10.0 tonearms, Pi cartridge, Fein phono, Nyquist D and Integrated amp, and AudioQuest cable and power conditioning. Mytek launched the portable Mytek Clef, an MQA-enabled headphone amplifier and DAC that offers up to 24 bit/192k and DSD128 playback, with driverless USB Class 2. It sports a hi-res Sabre 9018 DAC chipset, easily driving headphones at twice the volume of typical smartphones. Tentatively priced at $299, and expected to ship in Q2 2017, the Clef can also be coupled wirelessly with any smartphone, tablet, or computer via Bluetooth AptX or AAC for iPhone 7s. 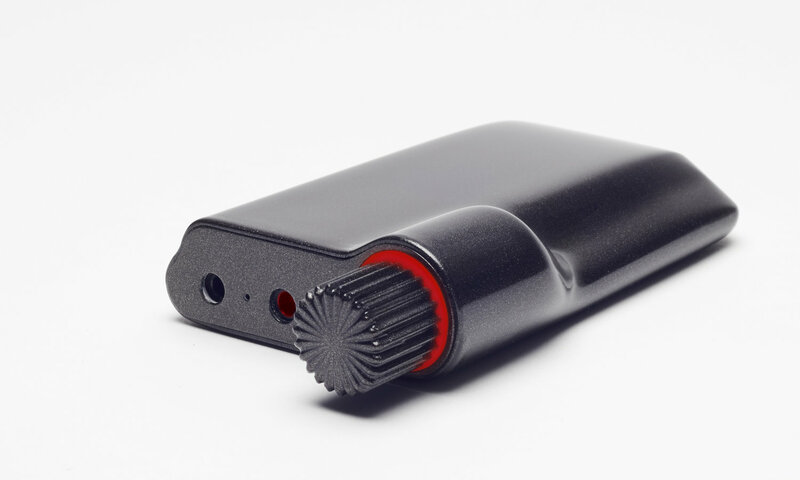 Astell&Kern revealed its teeny wireless XB10 smartphone DAC/headphone amp. This circular gizmo supports aptX HD (the latest from Qualcomm), is capable of 24-bit/48khz streaming, and has a built-in microphone. It also features dual audio outputs (3.5mm unbalanced and 2.5mm balanced), is iOS- and Android-compatible, and has a hands-free function. Supports voice calls and features a built-in microphone for receiving calls when using earphones without a microphone. $189. 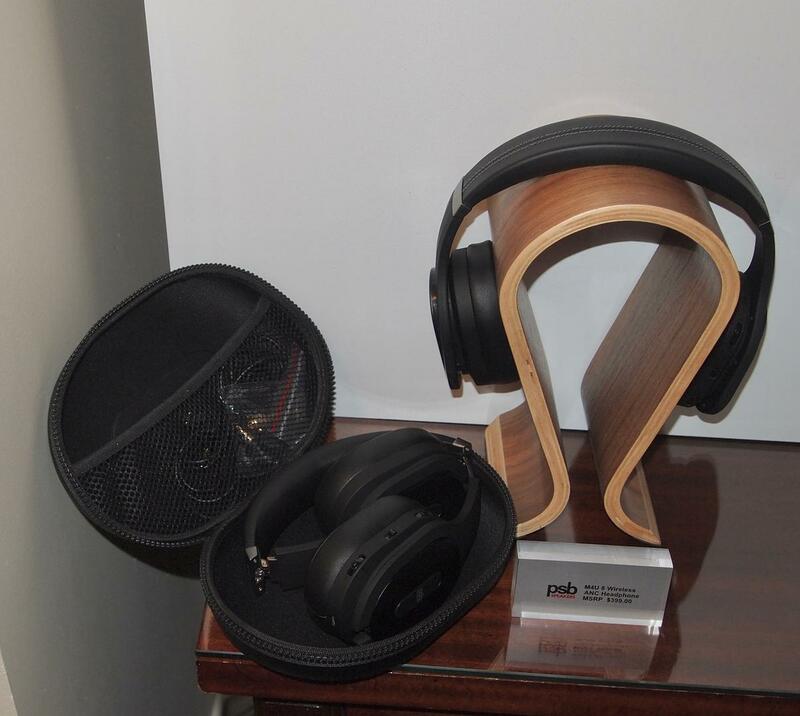 PSB weighed in with its M4U8 ($399) wireless travel-friendly headphones. They’re equipped with aptX Bluetooth and three listening options for active, passive (no batteries), or active/noise-cancellation playback. The M4U8s were very comfortable and nicely assembled and had the rich sonics that I’m accustomed to in every Paul Barton design. Somewhere out there, there must be a market for $50k headphone rigs. Obviously Sennheiser thinks so with its Orpheus system, and apparently so does HiFiMan. Its Shangri-La electrostatic headphones with 300B SET amplifier bundle are an all-out, take-no-prisoners approach with exquisite engineering and are strictly built to order. They sounded remarkable. I have also experienced the sheer gorgeousness of the Sennheiser Orpheus and it too is a thing of sonic delight, and opulent beauty and design. Now there’s a shootout we’d all like to see, but never will. A little more down to Earth, however, are the HIFiMan Edition 6 headphones. Inspired by the earlier HE-6 flagship, the Edition 6 will be using a nano-thickness diaphragm, gold conductive coating, and an asymmetrical ear-cup. TBD pricing for now with hints in the $6k range. 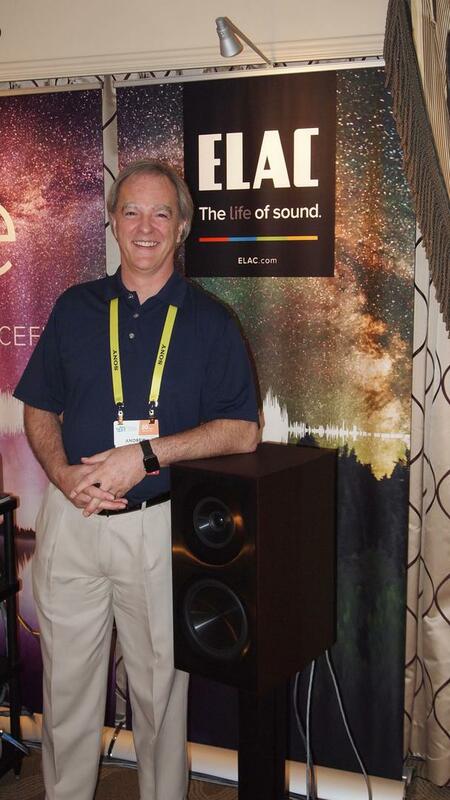 Gunning for the Focal Utopia? You be the judge. Finally, I took in a short but sweet demo of the Audeze iSine10 electrostatic in-ear headphones ($499) but look for the more advanced iSine20 ($599) in February and some big Audeze announcements at Munich in May. Best Sound (cost no object): The dCS Vivaldi 2.0, D’Agostino Momentum gear, and the Wilson Audio Alexx put on a terrific show in the Mirage, but for silk-laden intimacy and transparency the MSB Tech digital front end with M204 monoblocks and YG Sonja 1.2 speakers with Analysis Plus cabling was awfully hard to beat. For sheer majesty, ambience, and slam, I extend the nod to the unsinkable MBL 101E Radialstrahlers partnered with MBL’s new Noble electronics, player, pre, and monoblocks. Wunderbar! Best Sound (for the money): The Elac Adante three-way hits more high-end markers than should be legal for a $2500 compact. 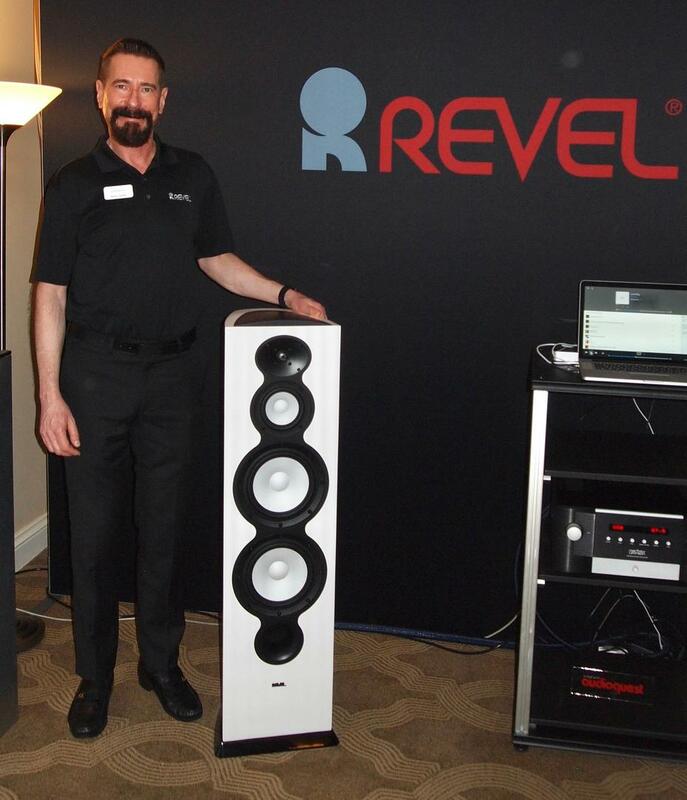 In floorstanders, the GoldenEar Triton Reference is about as much speaker as $8500 should be allowed to be. Most Significant Product Introduction: The stylish KEF LS50 Wireless is going to be a runaway hit. Most Significant Trend: With the announcement of Tidal and other potential partnerships, MQA may prove more than just a passing trend—it might be the first high-resolution format (unlike moribund DVD-A and SACD) that sticks around for the long haul. Most Coveted Product: I want a vintage Nagra reel-to-reel tape deck. I don’t even care if it works—I just like lookin’ at ’em.